SIAC representatives were involved in creating the PUSD Technology Plan, which will be implemented from 2017 to 2020. The Technology Plan describes how technology will be implemented in the curriculum, and it also looks at infrastructure, software, technical support, funding and budget, and monitoring and evaluation. SIAC worked with Ms. Amy Nichols, Director of Technology, at the council meeting in October 2016 to provide feedback on technology use in the district. Members worked in groups to answer questions such as, "How do you use technology in the classrooms? ", "How do you use technology to do your homework? ", and "In the future, how do you think you will use technology when you are studying at college or working at a job?" Ms. Nichols took this feedback back to the Technology Committee that was working on the Technology Plan. 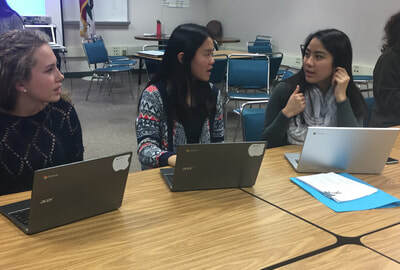 SIAC's feedback was very valuable to help guide the Technology Committee, so Ms. Nichols asked SIAC to give her input on a student survey that she created regarding technology use. After SIAC members reviewed the survey, the council decided that it would be best to share the survey with all students at secondary school sites in order to collect more data for the Technology Plan. SIAC worked with administrators to email the survey to all students and utilized social media platforms to share the survey. Council members encouraged students to use the survey as an opportunity to express student voice and take initiative to change technology use at their schools. In total, SIAC was able to get nearly 700 students to take the survey with a fairly even distribution among all grade levels 6 through 12. SIAC is working with Ms. Nichols to implement this survey annually in the PUSD rather than once every three years in order to collect feedback about technology from students on a regular basis. 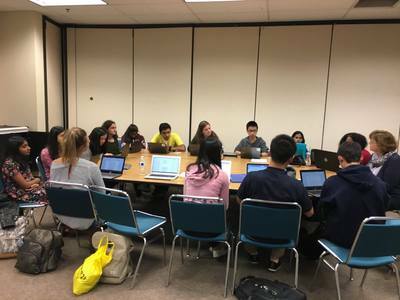 SIAC met with Ms. Nichols and her technology team this school year to provide feedback on the plan for structuring the distribution of 1:1 Chromebooks over the next few years. More info coming soon!